131 Chrystie Street, New York, NY 10002. 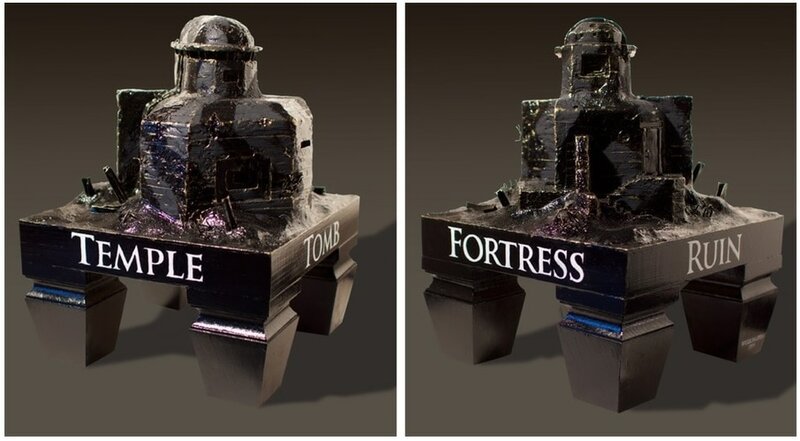 The Lodge Gallery proudly presents, “Temple Tomb Fortress Ruin," a solo exhibition by acclaimed artist John Wellington. For decades, Wellington has harnessed a deep curiosity about the precarious state of our so called progress, addressing legends of lost worlds, passing empires, false prophets, unlikely heroes and the allure of idolatry in the subject matter of his work. Wellington’s compositions are rendered in a mythic and poetic vernacular and his worlds and images are loaded with layers of visual metaphor. 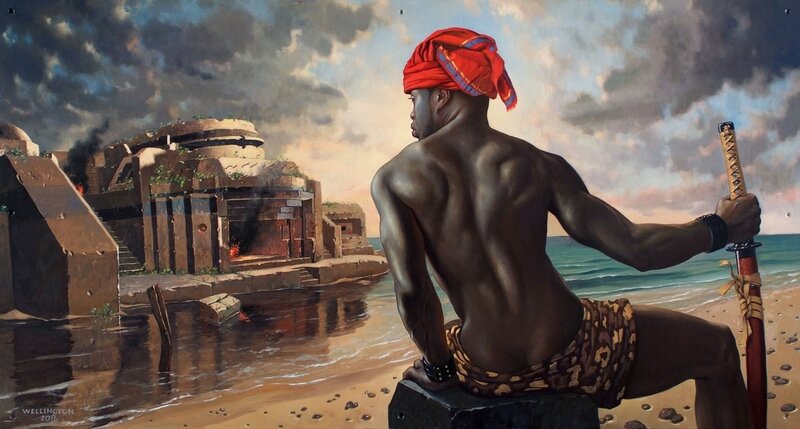 These allegories are carefully refined through a painted alchemy that transforms objectified female figures into warriors and goddesses or spiritually enlightened beings into simple fallible men. Technically executed in the traditions of old master painters and inspired by religious icons, pop icons, cinema and global politics, there is a timeless relevance to his work that seems to be at once full of lessons from bygone generations and pre-cautious predictions of possible future worlds. In this exhibition Wellington explores preconceptions of traditional masculine/feminine stereotypes and reimagines military style ruins as prized trophies and symbols of impenetrable psychological retreat. As the world enters into an period of enormous transformation and a new generation of dangerous demagogues have emerged to deliver promises of further political chaos around the globe, Wellington's art seems all the more relevant and meaningful. In this context his work challenges the viewer to question preconceived notions of permanence and the complicated intersection of Eastern and Western cultural philosophy. John Wellington’s paintings have been in numerous exhibitions and art fairs in New York, Los Angeles, San Francisco, Miami, and Paris. In addition to exhibitions at the Centre Georges Pompidou in Paris and The Arnot Museum in New York, his work is in the permanent collection of many prominent institutions and private collections throughout the United States, Asia and Europe. Wellington has taught traditional painting techniques at The New York Academy of Art and privately in his atelier for two decades. He also lectures and teaches painting workshops across the county.